Below is our exhibitor list where you will find a searchable, sortable list of exhibitors scheduled to be at the show. We will update the list periodically all the way until showtime. 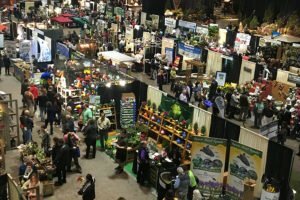 The show features over 300 booths overflowing with fresh flowers, plants, garden equipment & much more. There will also be over 80 hours of seminars and demonstrations. Bring your families along as there are plenty of things to do for all ages! Prairie Blossom Silver Jewelry 430 Floral Silver & Sterling Jewelry, Hairclips, etc.